Oregon Officers Say Burglary Suspect Turned Out To Be Industrious Roomba Vacuum Hearts pounding, guns ready to fire, officers entered the bathroom. But instead of confronting a suspect, they discovered a robotic vacuum that was apparently doing "a very thorough" job. Three seasoned deputies — one with at least 20 years on the force — a detective who happened to be in the area, and two canine officers all responded to the call of a burglary in progress at a Cedar Hills home near Portland, Ore. 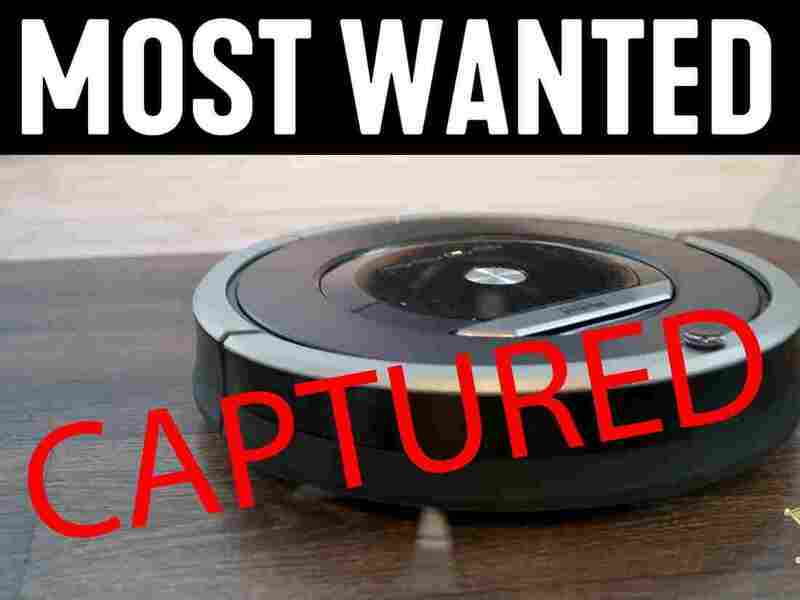 Instead, they found a trapped robotic vacuum cleaner. "It was just this little round machine, slamming against the glass [shower] wall," DiPietro says. The entire group erupted into peals of laughter. "Everyone just started cracking up. It was such huge relief because it's the kind of situation that could go either way. It could end peacefully or ..." DiPietro trailed off. "No one had any idea what was waiting for them behind the door but they definitely didn't expect that." DiPietro, who has been on the force for 13 years and has some experience working with canine officers, says the responding officers were especially perplexed by the lack of response when they said a dog was outside the bathroom door. "That was confusing because usually, when you say, 'We've got a dog,' people are done. They're like, 'OK, I'm not fighting a dog!' and they'll just give up," he says. The fact that the individual inside the bathroom didn't do that was chilling, he added. From start to finish the incident took 25 minutes, according to a play-by-play post on the department's Facebook page. As for the man who reported the call, DiPietro said he felt "awful." "But I would have done the exact same thing if I was visiting someone and didn't know there was a robot vacuum cleaner that was set to go off on its own. And even the responding officers, when they saw the shadow under the door and the sound of someone trying to get out ... well, they fell for it too," he added. Plus, DiPietro says, the sheriff's office Facebook followers are loving the story, coming up with punny reports of their own as well as demands to see the bodycam footage. "After sweeping the premises, the perpetrator was nabbed. Later, the room was dusted for prints," Richard Cox commented. Marti McCleskey offered a compliment: "Great job catching the sucker!"